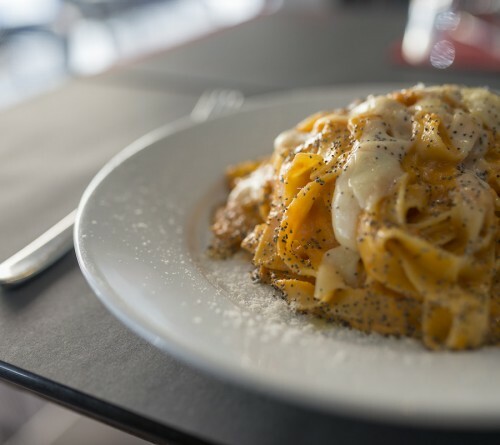 The Raf restaurant is located in via Plinio n. 17, in the heart of the Prati district, between Castel Sant’Angelo and Piazza Cola di Rienzo and just a few minutes from the Metro A stop – Lepanto. We’re open seven days a week non-stop, from 12 o’clock noon to midnight, and you can dine inside the restaurant or out in our open space, which is heated in the winter. The restaurant’s menu is divided into four sections: CUISINE | GRILL | PIZZA | BURGERS. You have a wide variety of traditional cuisine, grilled meat, hamburgers and pizza ‘romana’ cooked in a wood burning oven. The Menu includes vegetarian and gluten-free dishes. We accept food stamps and meal vouchers, and for any special requirements, just ask and we’ll do our best to satisfy your needs. If you’re looking for a restaurant in the Prati district capable of offering quality and courtesy at the right price… then come and visit us! Roman Pizzas, thin and crunchy, either classic or made by us with imagination, depending on how you like it. And much more: 10 types of salads and homemade deserts for those of you with a sweet tooth, and of course a wine list composed of 30 national and international labels. The large windows, the bright colors and our staff’s smiles make Raf a reference point for anyone looking for a restaurant in the Prati district that has a modern and familiar flair to it. The restaurant takes the name from Raffaele Mondello, who 10 years ago accepted the challenge to open a restaurant in the Prati district. A difficult challenge, but one that he continues to carry out with passion and enthusiasm, without losing touch with two fundamental points: the quality of the raw materials used and an impeccable service. 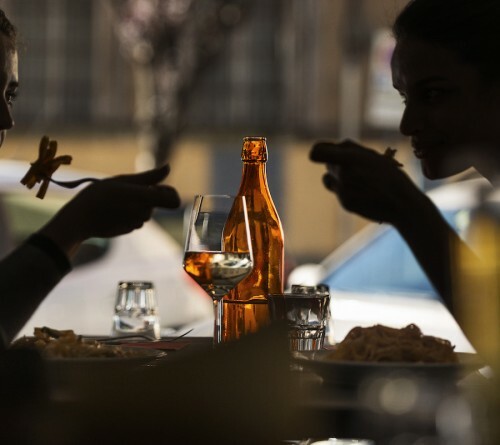 These features, along with the vicinity to piazza Cola di Rienzo, make the Raf restaurant ideal for those living in the Prati district: shopping at Via Cola di Rienzo, a film at the Adriano cinema in piazza Cavour, a tourist trip from Castel Sant’Angelo to San Pietro. Tourists, families living in the area, professionals and teenagers… every day meet at the Raf restaurant. Because Raf isn’t just a simple restaurant in the Prati district!